While you're pregnant, your GP, midwife or LMC will offer you several tests for conditions that may affect you or your baby. They'll also give you information to help you decide if you want these tests. You may also be offered a ferritin test to check your stored iron level, especially if you have a meat-free diet or pregnancies close together. If you have any questions about this test, talk to your GP, midwife or LMC. During your first pregnancy visit you'll also be offered a blood test to screen for HIV. If you have HIV, there's treatment that can help keep both you and your baby well – it reduces the risk of your baby getting the virus from 30% to less than 1%. This test is very reliable and picks up almost every woman with HIV. Some women will get a positive screening result but will not have HIV. This is called a false positive, and it happens with all screening tests. About one woman out of every 1000 will need to have a second blood test to confirm whether or not they have HIV. Your GP, midwife or LMC will discuss with you what the results may mean. During the first 14 weeks of pregnancy, you'll be offered two screening tests. Together, the tests can show whether your baby is more likely to have a genetic condition such as Down syndrome. 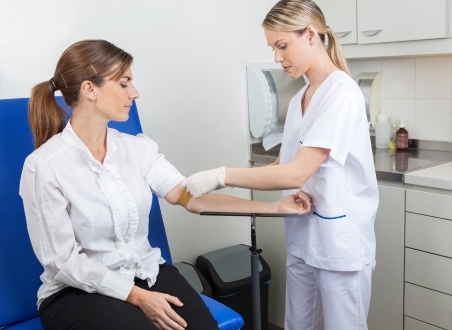 The results of the screening tests give you an estimate of your risk but not a certain answer. If you choose to find out about your risk for Down syndrome it's important to have both tests, as the risk estimate is calculated from combining the two results. The laboratory can't calculate the risk unless you've had both tests. 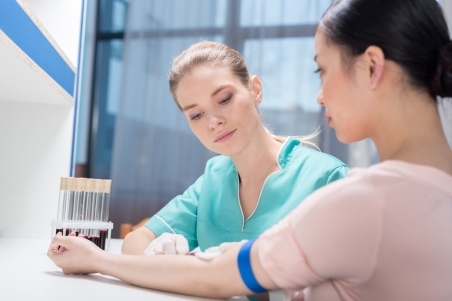 The first screening test is a blood test, taken between nine and 14 weeks of pregnancy (the best time is at nine to 10 weeks). If you haven't had this test by 14 weeks, you can have a different blood test later in your pregnancy. The second screening test is a nuchal translucency scan (an ultrasound scan) and is done between 11 and 14 weeks of pregnancy (the best time is at 12 weeks). This scan looks at how thick the fluid-filled space at the base of your baby's neck is. Health professionals no longer recommend early pregnancy ultrasound scans (dating scans) for pregnant women unless there are concerns with the pregnancy or the woman’s health. Canterbury DHB has a leaflet to explain these recommendations. NIPS is a new blood test that uses a different method to look for chromosome abnormalities in your baby. It can be done from around 10 weeks of pregnancy. It's more accurate than first trimester combined screening, but it isn't publicly funded. It costs between $500 and $1000. For more information about NIPS, speak to your GP, midwife or LMC. Sometimes one or more of these screening tests pick up that a baby may have certain conditions, such as Down syndrome. If this happens to you, your GP, midwife or LMC will talk about it with you and offer to refer you to a specialist to discuss your options. One of your options is to have tests to confirm if your baby does have the condition. This is called diagnostic testing. You can read more about diagnostic testing on this page from the National Screening Unit. You don't have to have a diagnostic test if you don't want to. Nitrate levels are increasing in Canterbury water. Council-supplied water in Canterbury has safe levels of nitrate. But some private water supplies have high levels. This is a health risk for pregnant women and formula-fed babies. If you have your own drinking water well, you should check the risk for your area. You can find maps showing the risk on the Community and Public Health website (in the right-hand column). If you live in an area with a moderate to high risk, you should get your water tested. Several laboratories can test for nitrate levels. Contact the laboratory before you collect your water sample. It will provide special sampling containers and recommendations. It's a good idea to test for E.coli contamination at the same time. This leaflet from Community and Public Health has information about laboratories that can test for nitrate levels and E.coli contamination. For more information, see the pamphlet Nitrate in drinking water.